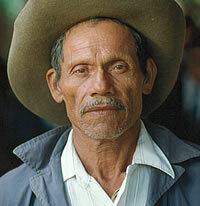 Belizeans are immigrants from the Central American nation of Belize. Belizeans are of multicultural and multiracial decent. About 34% of Belizeans are of mixed Maya and European descent (Mestizo), 25% are Kriols, 15% are Spanish, about 10.6% are Maya (Yucatec, Kekchi, Mopan Maya) and about 6.1% are Afro-Amerindian (Garifuna). Many Belizeans have immigrated in search of better opportunities. Belizeans are primarily of the Kriol and Garifuna ethnic groups, and have primarily settled in the major urban centers. Belizeans speak a wide variety of different languages, including Spanish, English, Creole, Garifuna, and a variety of Mayan tongues. The primary religions practiced by the Belizean are marginal Roman Catholicism and Protestantism. Pray for Belizean immigrants to encounter not just economic abundance, but abundant life in Christ. Pray for Belizean believers to stay strong in their faith and be a vital witness to their community. Pray for Belizean churches to multiply and thrive, and to catch a witness for reaching out to people groups around them and around the world.